Just like the regular clothes changing to slightly darker tones for winter so too do many of the leisure and sportswear styles. 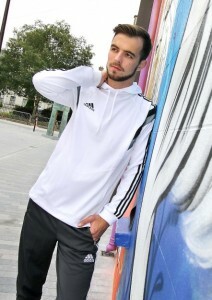 In JD Sports these Adidas looks are simply a case of black & white. Love the Adidas Originals cropped ladies top, its ideal for working out or hanging out!